The following updates are planned for March 26, 2015. The following updates are planned for March 24, 2015. The following updates are planned for March 19, 2015. One Sign-in for all your accounts…. and versions! 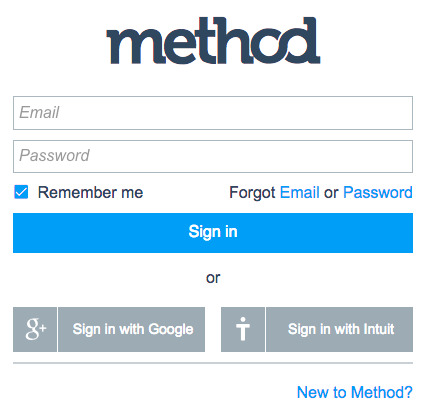 Today’s release introduces a new Sign-in page for Method. This will be the same page that allows you to sign into Method. This will allow you to sign into all company accounts associated with the email address with which you sign in. Learn more here. You will now be presented with an account & version selection page once you sign in with this new page. Please note the Forgot Email option in case you are not sure what email your Account and User Name are associated with.